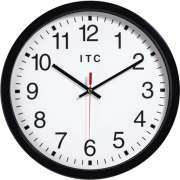 Wall clocks make a great addition to any learning or work space. They help employees, students and teachers keep track of time so they can maximize important resources. With a selection of sleek office clocks, you can enjoy the benefits of this important tool while also enhancing the visual appeal of a space. 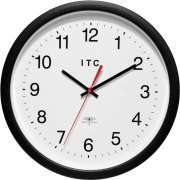 Why is it important to have a wall clock? With an easy and convenient way to tell time, making sure to complete a task within a reasonable time frame is much easier. A clock can also be an important educational tool that helps measure productivity or teach important concepts. A great classroom clock can change the way your lessons run and make an excellent contribution to the learning atmosphere. 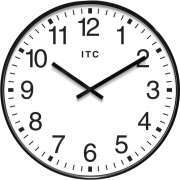 Is a clock necessary for a classroom? Back when everyone wore watches, having a classroom clock was not essential. Today when so many people rely on cell phones for the time, a wall clock is necessary in every classroom. People like to know what the time is but checking phones constantly is distracting for everyone. If you don&apos;t want your students or employees constantly looking at their phones, you should get a wall clock that they can easily check without getting up from their seats. This small addition will save teachers and supervisors from constantly having to be on the lookout for cellphone use. When students have no justified reason to look at their phones during lessons, it will be easier to prevent them from using social media in the classroom or playing games when they shouldn&apos;t be. What is the best way to keep track of time? Classroom clocks offer a great way to keep track of time. They can be helpful for timed exercises during lessons. When a teacher warns students that they have two more minutes to complete a given task, they can easily look up at the clock and know exactly when they are expected to be finished. Wall clocks are also important for consistency. If you give small breaks during a lesson, you can make sure that everyone is following the same clock so there is an objective way to measure when students are late. This can be an important tool for businesses as well. Students or employees can know which clock to set their own watches by so they will always arrive on time. A classroom wall clock can also be used as an educational tool in its own right. It can be helpful in a precisely-timed experiment in the school science lab. 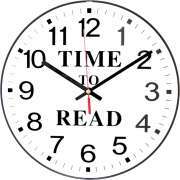 Wall clocks can also teach elementary school students to tell time. With all of the digital time-keepers out there, you definitely can&apos;t assume that students will be exercising their clock-reading skills anywhere else. Clocks can also be used when talking about geometry or even lessons about different shapes and how they can be divided. The possibilities are endless - especially for those educators who specialize in creative, hands-on lessons. 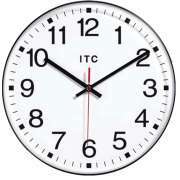 How do you choose a wall clock? There are a lot of factors that should play a role in your choice of an office clock. One great thing to look for is a clock with a second hand so you can see small differences in timing. This can be an important tool when you are trying to measure or increase efficiency in the work place. It enables you to see exactly how long things take so you can set reasonable expectations and goals for employees. Visibility is another important factor to consider. It is important to make sure that the office wall clock you choose will fit in the allotted wall space and that it is in a location that is easily visible for anyone who is working in that space. Practical considerations aren&apos;t everything. When you are choosing an office wall clock, you have to be sure that it fits in with your office decor. It can bring in a new complementary hue, or even a cute message that will make people smile when they see it. Infinity clocks have an elegant professional style that can fit in with any theme or color scheme. What is a radio-controlled clock? A radio-controlled clock keeps time using the world&apos;s most accurate clock. For those who want to know what the exact time is, this is a must-have. With a radio-controlled wall clock like the Time Keeper from Infinity, you will always be right on time for phone meetings and strict deadlines. Keep perfectly synchronized with anyone else who has a radio-controlled clock and impress clients with your punctuality. Whether you are furnishing a classroom or an office, an attractive, durable wall clock will add a lot to your space. No matter what size you prefer, we have some great classroom clocks for any space. If you are trying to decide between a few models or just need help understanding what your main considerations should be, contact the experts in the Hertz Design Center for free project-planning advice.